NASA has financed 15 aspiring tech ideas in the hopes that one or more of them may have a vast effect on space science or exploration down the road. The new concepts funded by the NASA Innovative Advanced Concepts (NIAC) program comprise a squid-like amphibious rover that might search icy, ocean-harboring moons for example the Jupiter satellite Europa; a suggestion to mine water from asteroids by means of intense sunlight; and "WindBots" that would voyage through the skies of Jupiter and Saturn, generating energy from the gas giants' magnetic fields and intense winds. 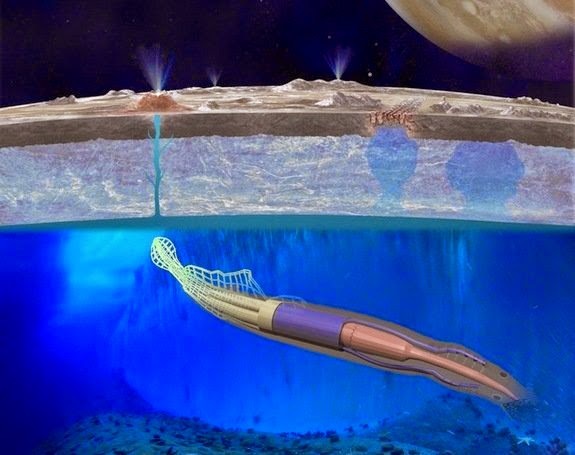 Another idea pursues to develop small, inexpensive "crawler," "hopper" and ball-like robots that would work together to hunt water and other unstable materials in permanently shadowed craters close to the poles of the moon. Retrieving these volatiles could be significant to establishing a human existence on the moon, many scientists say. The 15 concepts were selected under Phase 1 of the NIAC platform. The study teams will each get about $100,000 to accomplish early analyses; they can then apply for a Phase 2 prize, which is means an additional $500,000 and funds two more years of progress.